Frederick Soddy (1877 – 1956), a chemist whose pioneering discoveries founded the fledgling science of nuclear chemistry, proved that the newly observed phenomenon of radioactivity arose from decay. He also demonstrated that some elements possess isotopes. His work with Ernest Rutherford at McGill University was rewarded with a Nobel Prize in 1921, for elucidating nuclear decay; showing how alpha, beta, and gamma radiation were generated. Frederick Soddy was born on 2nd September 1877 in the seaside town of Eastbourne. His father was Benjamin Soddy, a corn merchant and his mother was Hannah neé Green, who died when Benjamin was eighteen months old. The youngest of seven sons, Benjamin was educated the local schools and then attended the independent school, Eastbourne College from 1892 to 1894. There he was encouraged by his science teacher to follow a career in chemistry. For two years, Soddy studied at the University College of Wales in Aberystwyth following which he was accepted a postmaster (a senior undergraduate scholar) to Merton College, University of Oxford. Soddy graduated in 1898 with a first class degree in chemistry. After graduating, Soddy remained at Oxford for two years, engaging in private research in synthetic organic chemistry. In 1900, he accepted the position of demonstrator at McGill University in Montreal, Canada. At McGill he met Ernest Rutherford who was a professor of physics and they collaborated on research. With two years of endeavors they established the radioactive theory of disintegration in 1902. Soddy moved to London in 1903 and he worked with Sir William Ramsey at University College, London on the spectrographic proof of the production of helium from decaying radium. Unhappy with some aspects of the work, in 1904 Soddy left London and conducted a lecture tour of Australia. In 1904, Soddy accepted the position of lecturer in physical chemistry and radioactivity at the University of Glasgow and he remained there until 1914. Frederick Soddy Soddy married Winifred Beilby, the daughter of Sir George Beilby, in 1908. They had no children. She actively participated in his research in Glasgow on gamma rays emitted by radioactive atoms and helped with his isotope work. During this time here his work led to the theory of isotopes which was published in 1913. 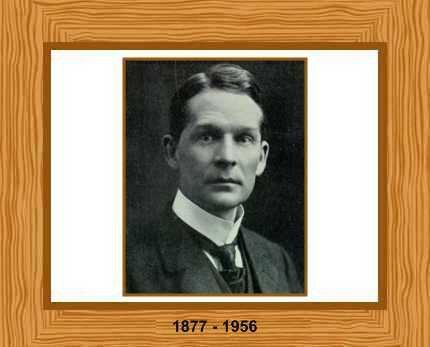 Soddy moved to the chair of chemistry at the University of Aberdeen in 1914 and he became interested in socialism. The First World War prevented him from performing much research. In 1919, Soddy was appointed to Dr. Lee’s Chair of Chemistry at Oxford University and his research focused away from science towards finance, economics, business and sociology. He retired in 1937, on the death of his wife. Frederick Soddy and Ernest Rutherford proposed the Disintegration Theory in 1902. This explained that radioactivity was the result of spontaneous disintegration of radioactive elements into new elements. They proposed that there were two radioactive decay series, one beginning with uranium and ending in lead. The second began with thorium and ended with lead. By the end of the nineteenth century, scientists recognized that radiation was emitted from some elements under particular conditions, without fully understanding the mechanism. In pursuit of this secret, Soddy and Rutherford used the rather basic tools available to them. Hand-blown glass bulbs were carefully made and then evacuated to create what is known as a vacuum tube. They used a radium sample sealed inside a thin glass container, which was then sealed inside an evacuated tube. The evacuated tube should have remained entirely empty if most elements were in the interior container, but radium is not just any element. The radium’s atomic nuclei, holding only tenuously onto some of their large number of electrons and protons, shed them a bit at a time; for example, in the form of two protons, and two electrons. This, as it happens, is how helium is constituted. This is exactly what Soddy and Rutherford found. They noticed that after the radium had been in this sealed environment for some time, the supposedly empty vacuum tube contained something; something with the spectral signature of helium. The very existence of the element helium was a relatively recent discovery, having been inferred from spectroscopic observations of a solar eclipse in 1868. Soddy and Rutherford inferred correctly from these facts that the radium was disintegrating, decomposing into elements of smaller atomic weight. This is the basis of most of nuclear science today. In the process of decomposition, heavy atomic weight, unstable, elements releases energy in the form of what are termed alpha, beta, and gamma particles. Soddy’s also discovered that elements could exist with different numbers of neutrons. These, at the suggestion of a fellow scientist Margaret Todd, he named isotopes, from the Greek root for ‘same’. Radioactive isotopes form the basis of much nuclear medicine today. Soddy eerily foresaw the potential good and horror arising from radioactive power, and was distressed by Hiroshima. He rightly noted that this power could be harvested with greater efficiency than from coal. He also foresaw that economies based on non-renewable fuels were ultimately self-destructive. He was elected a Fellow of the Royal Society in 1910 and he was awarded the Albert Medal in 1951. He died aged 79, on 22 September 1956 at the Royal Sussex County Hospital in Brighton.